How iconic is the Tote Hotel in the tapestry of Melbourne pubs and music venues or the broader landscape of Australian musical culture? Well, if you've ever uttered or heard the phrase "Totes McGrotes", you may have a punter who frequented the establishment for giving life to the saying. This nonsense phrase is said to have originated from regular Kevin "Grotey" McGrotes, who coined it in the late 1980s. But this isn't The Tote Hotel's only contribution to Australian society. For over 100 years it was known as the Ivanhoe, then in the 1980s, a sea change occurred in the landscape of rock 'n' roll music. As the venue was becoming the epicentre for the burgeoning genres of punk rock and heavy metal music, the facility changed its name to The Tote Hotel. 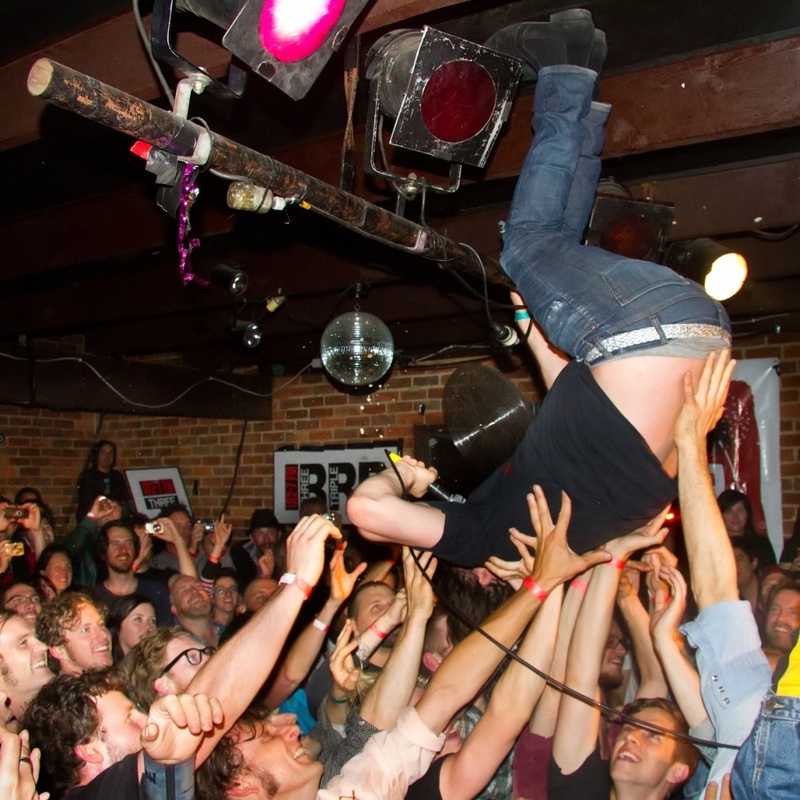 The Tote Hotel wears the memorabilia from past bands as badges of honour, installing them on the walls, in the beer garden and even on the stage. It has hosted bands like The White Stripes, Hellacopters, The Donnas and Mudhoney. In 2010, feeling the strain of new regulations the Victorian government placed on venues playing live music, the owners boarded up The Tote Hotel. Supporters took to the street and 5,000 persons held a rally in front of the venue to voice their displeasure. The kerfuffle is the subject of the 2011 documentary Persecution Blues. The Tote Hotel has a wide selection of wine, spirits and beer on tap, but the most exciting addition to the venue’s offerings could be the delicious food coming out of its kitchen. All juicy burgers are $10 and complement the traditional pub fare like roast lamb and currywurst. Through good times and bad, the Tote Hotel has been a mainstay of entertainment in Collingwood. Its place in the history for the fight to keep live music venues alive is worth a visit from all lovers of establishments of the kind. If travelling by bus, the 200 and 207 buses have stops on Johnson Street right next to The Tote Hotel. If travelling by light rail, the number 86 tram stops five minutes away on Johnson and Smith Streets.